In this article, you'll learn how to set up passwordless authentication using the Auth0 service. Auth0 allows you to outsource authentication features for your app. Auth0 is an authentication-as-a-service tool that makes implementation of authentication-related features for your app or site a breeze. If you've built an app and you want to just outsource the authentication and authorization features, a service like Auth0 is something you should consider. In this section, we'll go through the initial setup in preparation for setting up the passwordless authentication. Before moving ahead, make sure to install Composer as that will be used to install actual Auth0 SDKs using the composer.json file. Also, if you want to follow along with the examples in this article, go ahead and get yourself a free account with Auth0. Let's start by grabbing a clone of the sample project. Go ahead the run the composer install command to install the dependencies. According to the composer.json file, you should have installed the vlucas/phpdotenv and auth0/auth0-php packages. The vlucas/phpdotenv library is used to initialize environment variables from the .env file. Thus, it allows you to separate configuration from the code that changes between environments. On the other hand, the auth0/auth0-php package is the one which will help us set up authorization in our app. Next, let's set up the configuration for our app in the .env file. Go ahead and create the .env file by copying it from the .env.example file. It contains configuration values which will be used by the Auth0 library. You should be able to find most of the settings under Applications > Default App > Settings on the Auth0 dashboard. Please note that I'm using the default application created by the system. Of course, you could go ahead and create a new application if you want to do so. The AUTH0_CALLBACK_URL is the URL of your app where Auth0 will redirect users after login and logout. The value that you set in this field must be configured under Allowed Callback URLs in the application settings on the Auth0 dashboard. To enable passwordless login using email, go to Connections > Passwordless on the Auth0 dashboard and enable the Email option. In most cases, the default configuration settings under Email just work out of the box. Of course, if you want to change any settings, go ahead and do that. Don't forget to enable the apps for which you want passwordless authentication at Connections > Passwordless > Email > Applications. With the initial setup in place, we can go ahead and create a file which implements the passwordless login using email. Go ahead and create the email_auth_example.php file with the following contents. At the beginning, we have included auto loaders which are responsible for loading the Auth0 and environment variable related classes. Following that, we initialize configuration variables from the .env file using the getenv function. Next, we have called the getUser method on the Auth0 object to check if any active session is present. Based on that, we display the SignIn link if there's no active session. Otherwise, the username of the logged-in user with the Logout link is displayed. Go ahead and run the email_auth_example.php file to test your app! To enable passwordless login using SMS, go to Connections > Passwordless on the Auth0 dashboard and enable the SMS option. By default, Auth0 uses the Twilio service to send messages. So go ahead and get yourself a Twilio account. From the Twilio dashboard, get your ACCOUNT SID and AUTH TOKEN and enter those values in the Twilio SID and Twilio AuthToken fields at Connections > Passwordless > SMS > Settings on the Auth0 dashboard. Also, you need to create a new messaging service at SMS > Messaging Services on your Twilio dashboard. After successful creation of the service, you'll get the Service ID, and that's what you will need to enter in the Copilot SID field at Connections > Passwordless > SMS > Settings. Finally, let's take a peek at how passwordless login using SMS works. Create the sms_auth_example.php file. The contents are the same as email_auth_example.php, except the login() function, which is as follows. Everything is pretty much the same, except that we have provided sms instead of email in the allowedConnections property. Go ahead and run the sms_auth_example.php file to test your app! Today, we looked at passwordless login with the Auth0 service. Among the possible methods available, we implemented the email and SMS methods with code examples. Feel free to leave any thoughts or questions using the feed below! 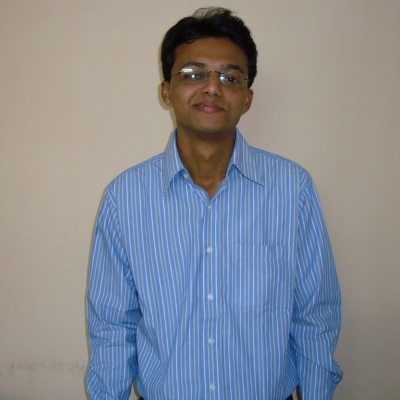 Sajal belongs to India and he loves to spend time creating websites based on open source frameworks. Apart from this, it's traveling and listening music which takes the rest of his time!